Successfully Added Cool S Webcam - 640x480 Pixel + 30FPS Videocalls to your Shopping Cart. 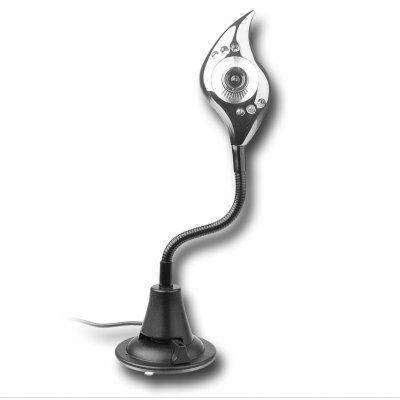 Webcam with a cool looking S shaped design, and with an impressive 640x480 pixels and 30 frames per second possible during online chatting videocalls. It also has a 1.3M CMOS camera for taking quality still photos, USB 2.0 connection, a built in light source for use during the night, and a useful bendable design for getting the exact angle you want from the camera. Single orders for this web camera are fine with Chinavasion no MOQ policy, but move up to bulk orders for even bigger wholesale discounts..